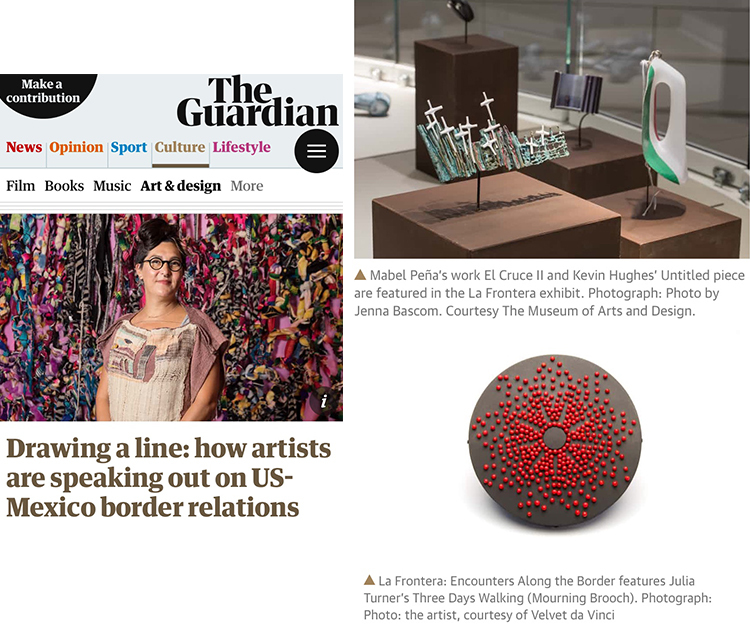 La Frontera is one of two exhibitions featured in “Drawing a Line: How Artists are Speaking Out on US-Mexico Border Relations” by Nadja Sayej on The Guardian. The article includes works by Mabel Peña, Kevin Hughes, Julia Turner, Judy McCaig, and Raquel Bessudo. Read the full article here. Join Mike Holmes and Lorena Lazard, curators of La Frontera: Encounters Along the Border, for a tour of the exhibition. The tour will be followed by a short in-gallery Q&A, moderated by Barbara Paris Gifford, MAD’s Assistant Curator. A special revised edition of Velvet da Vinci’s La Frontera exhibition will open at the Museum of Art and Design in New York City on March 1. The opening reception is March 21 from 6-8:30pm. The exhibition will be on view through September 23, 2018. Read more here. The symposium runs January 12-14. For more information, please click here.